“I was a pretty angry kid, maybe not all the time, but I was edgy,” reflects Alethea. 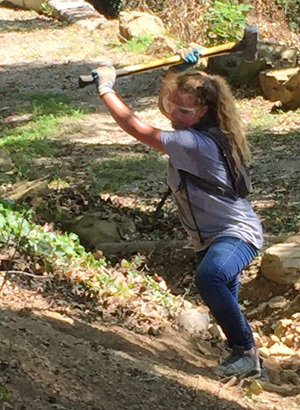 You wouldn’t know that today if you watched her working side by side with her fellow Mountain Interns, a partnership run by the Lookout Mountain Conservancy and The Howard School. Alethea grew up in a tough spot where folks often didn’t have jobs and there wasn’t much money around for basic necessities like school clothes, dinners, or a quiet place to study at home. Tending towards defensive reactions to stress or difficult situations, Alethea often alienated her peers and teachers. Passionate, driven, and determined to make sure that others have a better chance than so many of the people in her neighborhood, Alethea wants to become a lawyer. The Rotaracts, the young professionals of the Rotary, are one of the business partnerships with Lookout Mountain Conservancy. Working side-by-side on the Mountain, they also help mentor the students in areas of professional growth. As a result, Alethea was able to shadow Judge Christi Sells in Chattanooga. 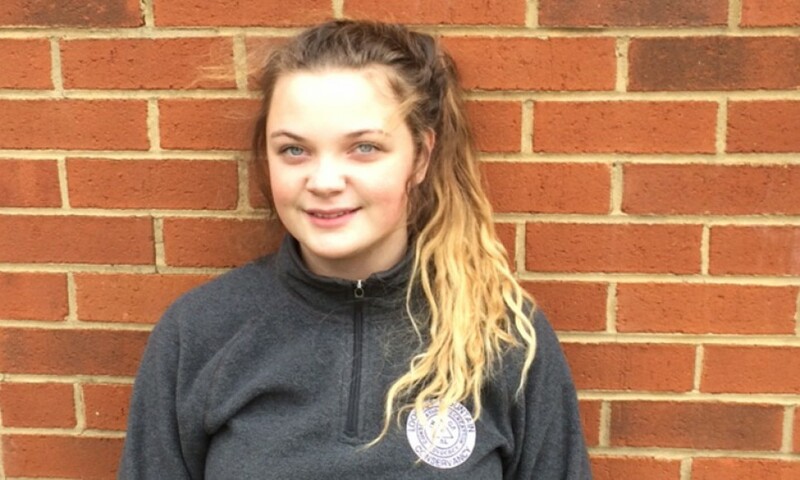 For Alethea, it was a powerful experience, as she explains, “Here I was, watching the cases come in, and I saw three of my peers—people my age—coming in front of the judge.